Climate change has major impacts on First Nations territories and activities in Quebec. 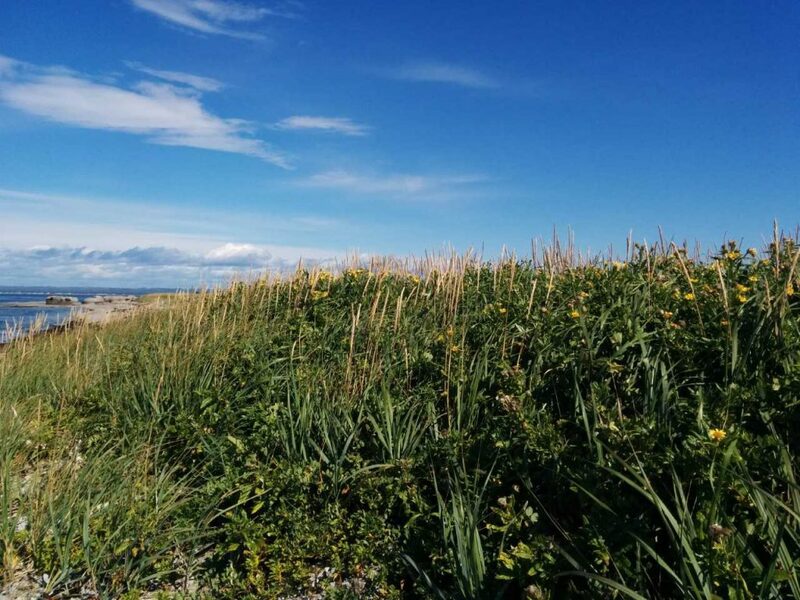 The coastal erosion of the Saint Lawrence River is threatening wildlife and plant habitats, gathering and activity sites as well as public and private infrastructures. Many processes, both natural and human, are involved in coastal erosion and their effects tend to increase with climate change. The general increase in temperatures leads to, among other things, a decrease in winter ice cover, a general rise in sea level and an increase in the frequency of storms. All these events, along with the anthropic pressure exerted on environments such as the destruction of vegetation, the presence of ATVs and the artificialization of the shoreline, are causing an ever-increasing recession of the Saint Lawrence shoreline. The FNQLSDI therefore undertook, in 2018, a project to restore and protect the coastal habitats of the community of Ekuanitshit. The project, entitled “Preserving the shoreline habitats of Nitassinan”, stems from the climate change adaptation plan that was developed by the community in 2016. This document, based on the participation of many community members and employees, proposes a number of adaptation measures to be implemented to limit the impacts of coastal erosion. Adaptation measures that can be implemented in the short term include the rehabilitation of natural sites in the coastal environment and the holding of awareness-raising activities on best practices to be adopted in coastal areas. However, the community considers that it does not have all the information and expertise needed to implement these two measures and that is why the FNQLSDI is supporting them in this project, in partnership with the Zip Committee and the Laboratoire de dynamique et de gestion intégrée des zones côtières of the Université du Québec à Rimouski. Identify areas of coastal erosion on th e Nitassinan using data updated by the Laboratoire de dynamique et de gestion intégrée des zones côtières of the Université du Québec à Rimouski. Apply the knowledge of the Ekuanitshinnuat to select priority sites for restoration through public workshops and participatory mapping. Carry out the characterization and restoration of the site selected by the Ekuanitshinnuat through the revegetation of the banks with plants that are useful to the Innu-Natukuna and the members of the community. Awareness campaign on climate change and coastal erosion with youth from the youth centre and the school in Ekuanitshit. Share and reinforce the knowledge of the Ekuanitshinnuat regarding the problem of coastal erosion and best practices in the coastal environment. 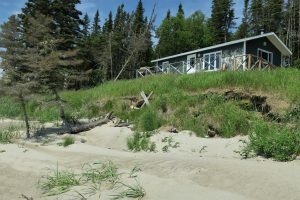 The ultimate goal of this project is to provide key stakeholders in the Innu community of Ekuanitshit with the tools they need to initiate coastal habitat restoration projects with local organizations, thereby enabling the community to serve as an example for other communities faced with erosion problems. This project was made possible through an investment under the Community Interactions Program, which is part of the St. Lawrence Action Plan 2011-2026, and is implemented by the governments of Canada and Québec.